Limited to 100 swords, each is signed by the smith on the nakago with the sword number and comes with a matching certificate. Click here to read about how these exceptional samurai swords are made . 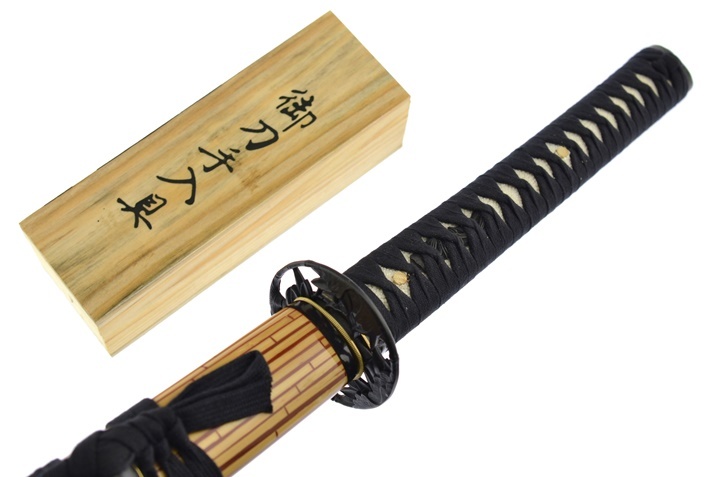 This rendition of the classical bamboo themed katana is a light and fast sword.... Limited to 100 swords, each is signed by the smith on the nakago with the sword number and comes with a matching certificate. Click here to read about how these exceptional samurai swords are made . 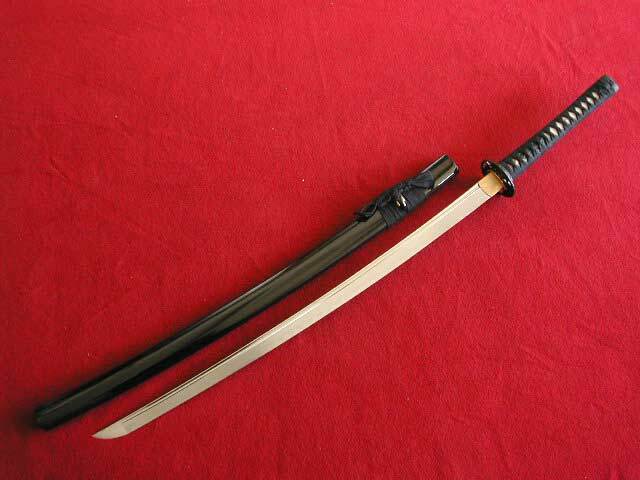 This rendition of the classical bamboo themed katana is a light and fast sword. Limited to 100 swords, each is signed by the smith on the nakago with the sword number and comes with a matching certificate. Click here to read about how these exceptional samurai swords are made . This rendition of the classical bamboo themed katana is a light and fast sword. This rendition of the classical bamboo themed katana is a light and fast sword. Hand forged from imported European DNH7 high carbon steel the differentially hardened blade features a “bo-hi” or fuller to lighten and balance the blade without sacrificing strength. This is an extremely collectible and capable sword.